We just introduced a brand new design for our site. For our Hotels redesign, we had an ambitious goal — help our users choose the perfect hotel faster and with greater confidence. Unlike flights, choosing a hotel is a complicated and time-consuming process because there is so much choice (we have 493 hotels in Bangalore) and a large number of variables like price, location, amenities, inclusions to evaluate. To make this process simpler, we believe our users need trustworthy information and contextual tools that help them quickly shortlist relevant options. This is exactly what we have crafted — a search experience that is faster, easier and incredibly useful. Say your goodbyes to the “loading” page. We’ve made searches incredibly fast. Results start loading immediately after you click the ‘search hotels’ button. Our core search architecture has been completely overhauled to deliver results 2-3x faster. 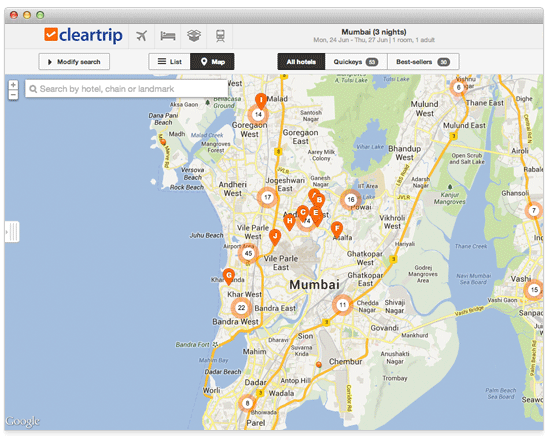 Usability has been and always will be the guiding force behind design at Cleartrip. We have refined every element in the search results page and added a host of new features to make the search experience easier. 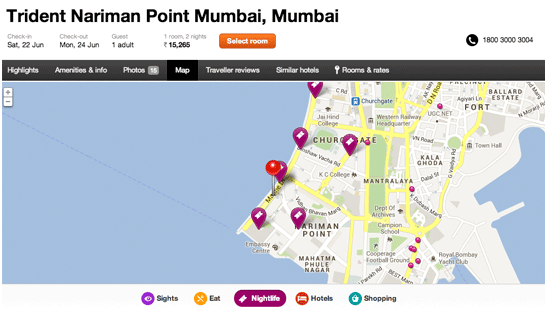 Users love to apply filters and a ‘sort by’ option based on their specific needs to view the most relevant hotels. We’ve made this simpler with Smart Tabs — bargain-hunters will like the brand new ‘Deals’ tab that only displays and sorts hotels with discounted rates (we have over 4000 deals running every day!). 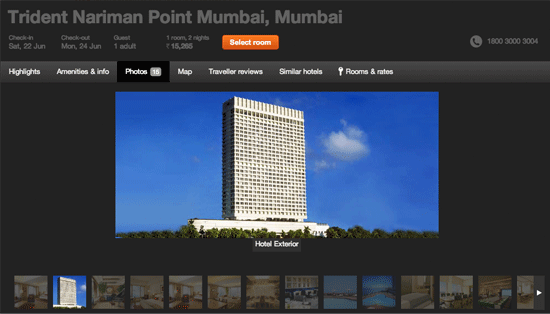 ‘Best-sellers’ highlights the most booked hotels on Cleartrip for those looking for the popular options. Know exactly where in a city you want to stay? 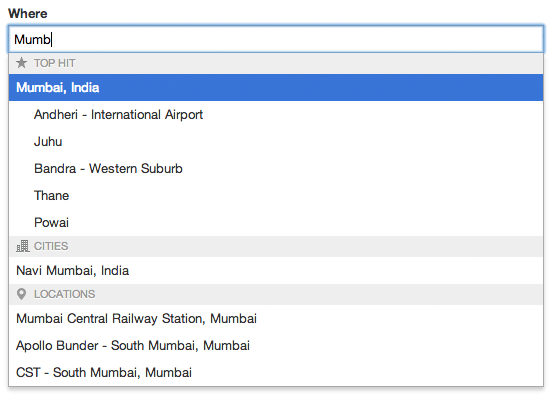 Then search by area, landmark or even a specific hotel from right within the search form. The hotel details pop-up has been completely redesigned to give you more information to help you make the right decision. The ‘Highlights’ page shows a comprehensive overview along with handy recommendations. Since photos play such an important role in the selection process, we’ve made them larger and more engaging using an innovative ‘darkroom’ design. The map now shows landmarks, restaurants and entertainment options near the hotel so you can be sure about its location. Whether it is a business trip or a summer holiday, the process of selecting a hotel is often ridden with anxiety. We’ve added trustworthy, accurate and relevant information across the board to help put your mind at ease. Recommendations from friends, family or even strangers often plays a huge part when we select a hotel. We’re using a data-driven approach to bring this recommendation process online — you can be confident that this is reliable data from real people. 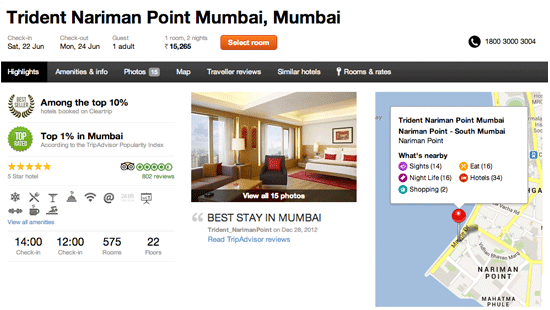 We now highlight highly ranked hotels on the TripAdvisor Popularity Index as “Top-Rated” and top-booked hotels on Cleartrip as “Best-sellers”. 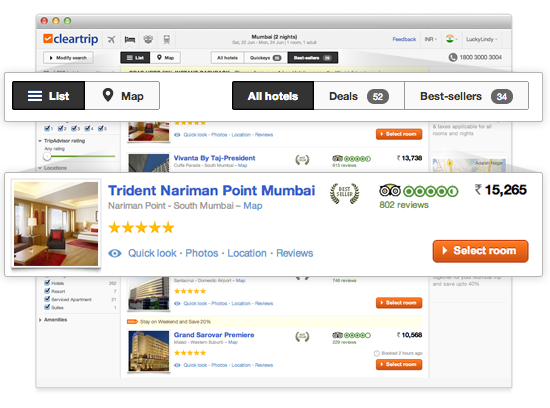 We’ve added a ‘verified Cleartrip user’ tag to TripAdvisor reviews written by our customers for added trust. 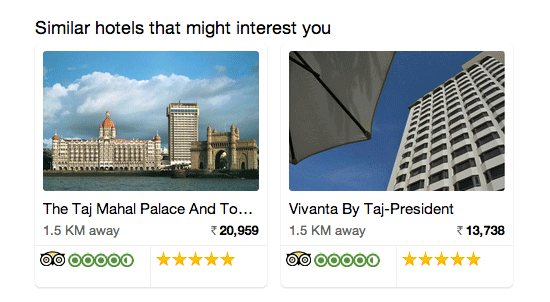 We’re also recommending similar hotels — based on your current hotel’s attributes and rates — that might interest you. Not in the mood for a traditional hotel? Try out the Property Type filter to find B&Bs, serviced apartments, resorts or even guest houses. We’ve rebuilt the map view so that it’s simpler to explore hotels across the city — pan and zoom to find hotels in a specific location or click on a hotel cluster to see all hotels in a popular area. We feel that the all new Hotels search experience goes a long way in making travel simpler — it saves you time, energy and a lot of anxiety. We’re really excited about it so do give it a spin and let us know what you think.